We are back with our new weekly feature where we get to share what someone has been doing with our kits, has been inspired by our sketches or challenges or uploads to the Citrus Twist gallery. And, of course, we have built a challenge based on Alissa's (U.S.) layout for those of you who like a scrapbooking challenge. This week your challenge is to create a layout using a "filmstrip" of photos. We'd love to see your results posted in our Gallery and/or on our Citrus Twist Kits Facebook Fan Page. Alissa's placement of the tilted photo over her filmstrip of small photos is a perfect way to highlight the best photo of the group. 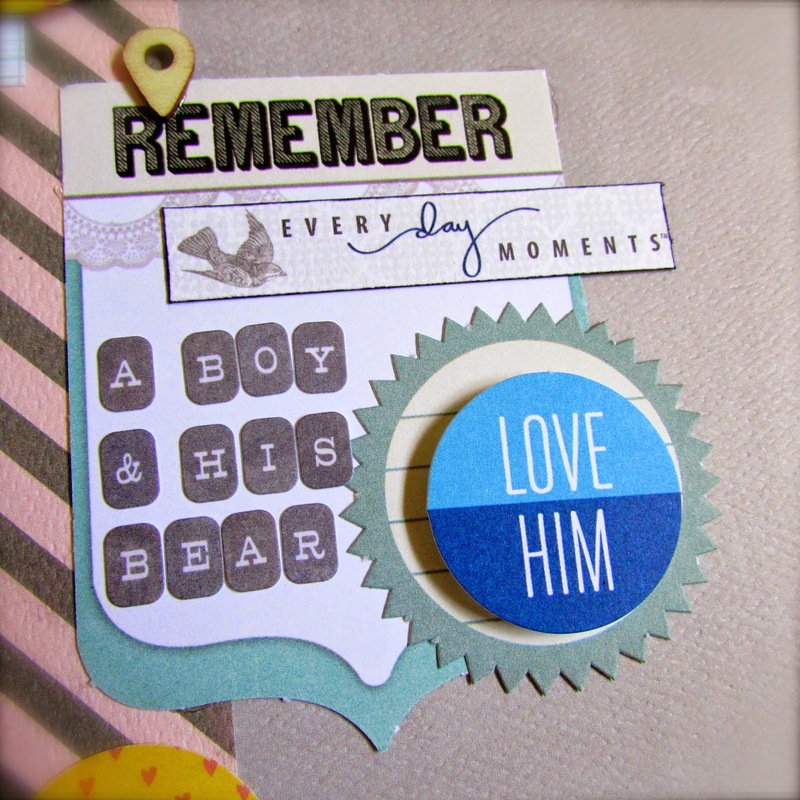 This layout is all mixed up with Teresa Collins, Studio Calico, and Authentique. I started with blues and yellow as my primary colors and threw in a punch of pink just for fun. The accents include Elle's Studio, American Crafts, My Mind's Eye, Basic Grey, K & Company, and Fancy Pants. My style seems to match my little guy's ability mix fun into his daily life. I loved watching how he carted Pooh around Washington DC for all the sight seeing! Thank you so much for choosing my layout to startup this new challenge!